Land Contract Terms Now Available. 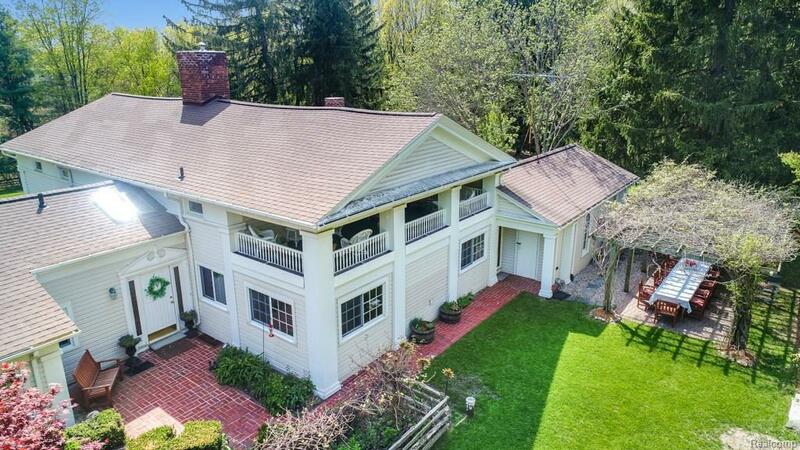 Recently featured by MLive, Ann Arbor News and the Michigan House Envy section of the Detroit Free Press! The possibilities are endless with this 130 acre paradise in Metamora with over 1 mile of river frontage. 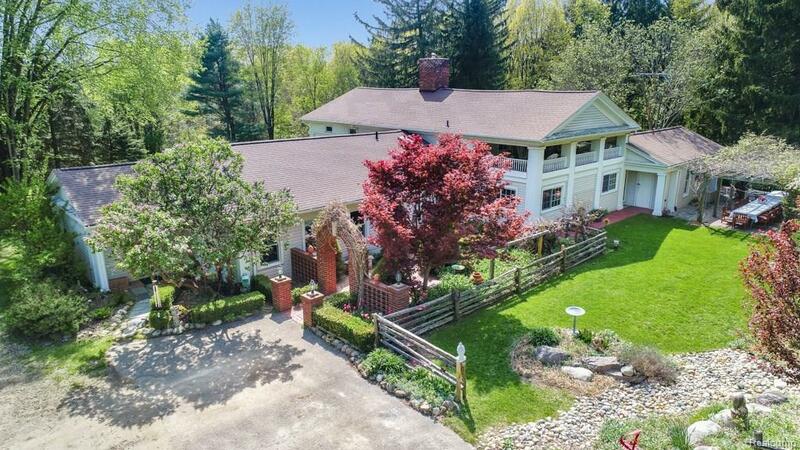 Enjoy this property as a personal sanctuary, or let your imagination run wild and explore the possibilities of a Bed and Breakfast, a Retreat Center, a Hunting Lodge or many other viable options. The main residence was creatively designed and boasts approx 5,450 sq ft, 7 bedrooms, and 4.1 bathrooms. 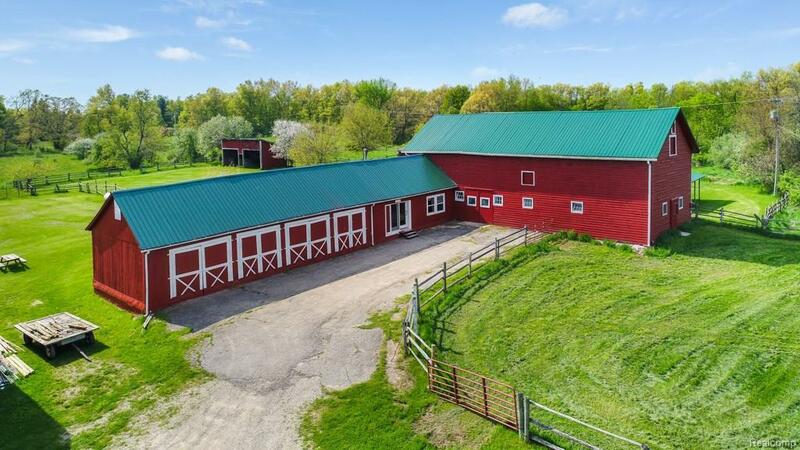 Other living quarters on the property consist of a 6 bedroom Farm House, a 1 Bedroom Townhouse w/ loft, and a 1 Bedroom Carriage Barn Apartment. Outbuildings consist of a 15 stall horse barn with tack room, feed room, bathroom and hay storage; a two-story studio, two equipment barns, and a greenhouse. Outdoor enthusiasts have many activities to choose from, such as: kayaking, fishing, riding, hunting, mountain bike riding, XC skiing and more. Listing provided courtesy of Visible Homes Llc.